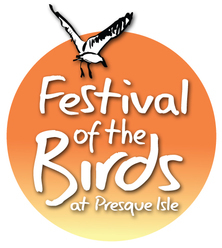 Thank you for registering for the Festival of the Birds at Presque Isle 2019!! Please fill out the form you see here with the names of the registered persons for the ID tags everyone receives. We have a wonderful event in store for you! Within the next two weeks you will receive an email with further information relating to on-sight check in. If you have any questions in the meantime, feel free to email us at: info@presqueisleaudubon.org. Interested in what’s going on now and throughout the year on and around Presque Isle? Visit our Facebook Page for the most timely information and visit our website for ongoing events and activities.